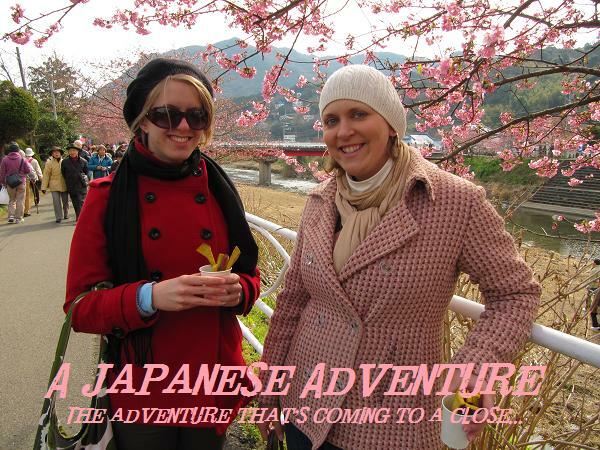 A Japanese Adventure: Happy Birthday Love! Alright, it's coming a day late. Gomen ne. The other person I went down to see this weekend was Nicole. One fateful night while out celebrating another birthday actually, we started to click. The next weekend I invited her to bake cookies at my house with a group of girls and then we spent a bunch of holiday parties together and quickly became the best of friends. I already said it, but I guess the only way to say it is that our personalities just clicked and we felt like we could talk about most anything with each other almost instantly. Since, we've been hanging out almost every weekend. Last night we had a chill dinner with just 5 of us to wish our best girl a Happy Birthday. She also had some shenanigans in Tokyo where I hope she had lots of fun ;) Next weekend we're heading back to Tokyo, and this time I'll be in tow! We're going to dinner and a hip hop club. It will be my first time clubbing in Tokyo, so I'm actually excited even though I'm not really a club scene kinda girl!! So anyway, my darling new friend, I wish you all the best this 25th year of your life has to offer!! I'm so glad that we met and because fast friends. I love you and am looking forward to the next 2 months of excitement (though after this weekend, your birthday ends....one week and two weekends is a lot of celebration!! ).